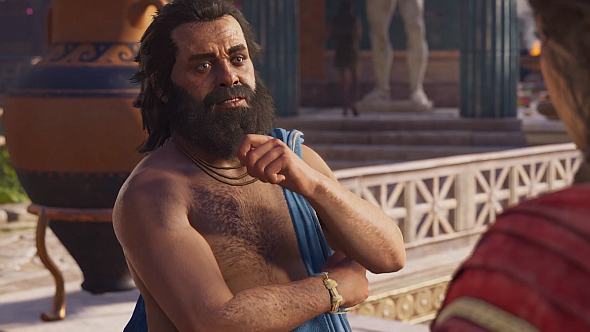 Update, June 15: There are some creative ways to get the Ancient Greek police off your back in Assassin’s Creed Odyssey. You can lower your wanted level in Assassin’s Creed Odyssey by killing the NPC who placed a bounty on you. The NPC in question is usually an enemy officer, marked on your map and surrounded by guards. But there are alternative options for dealing with mercenaries, too: like knocking them out, making them a better offer, and recruiting them as a lieutenant on your ship. If you can ambush and defeat the mercenaries sent after you in response to your bad deeds, however, the rewards could be even greater. These characters carry some of the best equipment in the game. While we’re on the subject, here are the best sandbox games on PC. Assassin’s Creed has dropped forced reloads for killing civilians in Odyssey, instead relying on this GTA-style wanted system to police player behaviour. The series has long been built on the premise that you are reliving the actions of an ancestor, and that if you stray too far from their moral code you’ll interrupt the simulation. In practice, that’s meant the game reloads from a slightly earlier save if you start sticking blades through the necks of shopkeepers and town criers. It’s always felt like an inelegant solution, if well-intentioned. For Odyssey, though, Ubisoft Quebec has looked to the escalating response system seen in GTA, adapting it to their faction-based open world. If you ride around Athens pinning philosophers with pointy sticks, the city-state will hire mercenaries to chase you down. Similarly, if you develop a penchant for raiding Spartan camps, the famously warlike people will send patrols out to teach you a lesson. The system will scale, GamesRadar report, eventually sending out mounted cavalry to trample you on land, and ships to sink you out on the gleaming green ocean. Your wanted level will always be made clear to you, and there are ways to pay off your bounty, lie low, or work off your debt to the factions you’ve upset. Assassin’s Creed Odyssey has made waves at E3 with its Greek sea shanties, multiple endings, and approach to romance. Ubisoft said the word ‘RPG’ more times than any other during its presentation at the publisher’s conference, so that gives you a fair idea of what to expect from Odyssey: an Assassin’s Creed that leans into the combat systems of Origins and is more like The Witcher than ever.